In 2013 it was announced that Dubai will play host to the renowned Expo world exhibition in October 2020. As well as exuberant celebrations and high anticipation for the UAE city, the reverberations of the result were also felt throughout the property market. As the event draws closer, estate agents and property speculators are confident the Expo 2020 event will have positive consequences for property prices in Dubai. From October 2020 to April 2021, a series of technological events and presentations will be on show around Dubai, attracting the world’s leading individuals and companies exploring networking opportunities. Because the universal exhibition hasn’t been held in the UK for over 100 years, it may not be within the public conscience domestically. It is a very important event however, helping to boost the economy of the host city to a great extent. The positive effects of Expo 2020 will be very rewarding for Dubai and the UAE as a whole. An injection of £30 billion will be pumped into the economy, supported by an influx of around 20 million visitors and helping create nearly 300,000 new jobs in the process. Indications show that the Emirate’s property sector is already starting to perform well after periods of uncertainty from 2008, even without the benefits of Expo 2020 taken into consideration. Property prices have stabilised and look set to increase from 2017 onwards, aided by Dubai’s thriving tourism sector and ongoing government investment schemes. Rental yields in Dubai can reach up to figures of around 8-10%, especially in the apartment sector located around the Dubai Marina location. With property prices remaining stable but expected to rise closer to 2020, it’s worth considering an investment during the current climate. The UAE government is sparing no expense preparing for Expo 2020. Huge investments are being made to improve the infrastructure of the city to cater for large visitor numbers and provide entertainment. Work has also begun on a structure known as The Tower, designed to be bigger than the Burj Khalifa. Real estate will benefit from these mega investment schemes in particular. The general consensus is that this increased investment from wealthy foreign buyers will strengthen confidence and increase Dubai property values, even after the exhibition has ended in 2021. Likewise, due to the significant influx of workers and tourists to Dubai in the build-up to Expo 2020, the rental market in particular looks an attractive prospect for buy-to-let investors. Of course, construction and hospitality staff require somewhere to stay, as do wealthy businessmen who will visit during the exhibition. Investors looking for long-term growth potential should consider an immediate purchase of a Dubai property and take advantage of the healthy rental market. Being prepared to hold this real estate through Expo 2020 and beyond will reap the biggest returns on investment as prices are expected to rise in the long term. Not to mention the rental income gained during this time. If you’re not quite ready to invest yet, you might be interested in some more reasons why the time is right to invest in Dubai. Birmingham Curzon HS2 Masterplan, which was revealed to the Post, will be one of the biggest urban regeneration schemes in Britain and see 141 hectares of the city centre transformed. A Metro extension, major retail renaissance and parks in the sky are set to form part of an ambitious vision to transform vast swathes of Birmingham city centre. 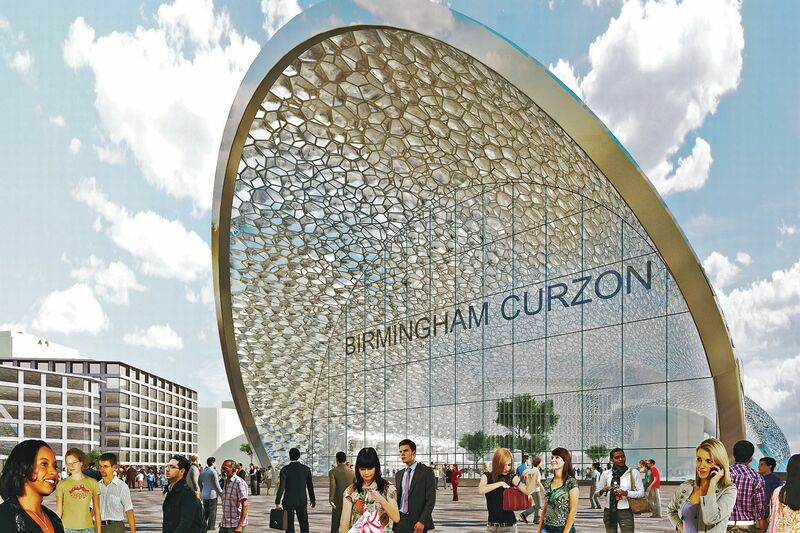 The Birmingham Curzon HS2 Masterplan, which was revealed to the Post, will be one of the biggest urban regeneration schemes in Britain and see 141 hectares of the city centre transformed. 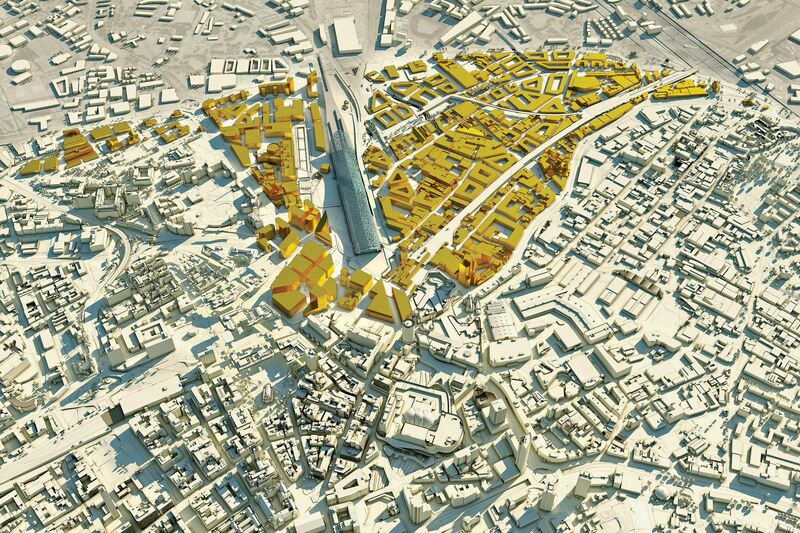 The proposals, the biggest redevelopment announced in the wake of the high speed rail link, represent a 25-year vision to realise the potential of neglected areas of Digbeth and Eastside. The plan includes extending the Midland Metro, which will pass through Curzon Street HS2 Station, and a park on top of the 1,100-yard-long Duddeston Viaduct. Birmingham City Council leader Sir Albert Bore said the regeneration will boost the city’s economy by £1.3 billion each year with more than 14,000 jobs, 148 acres of new employment floorspace and 2,000 new homes. 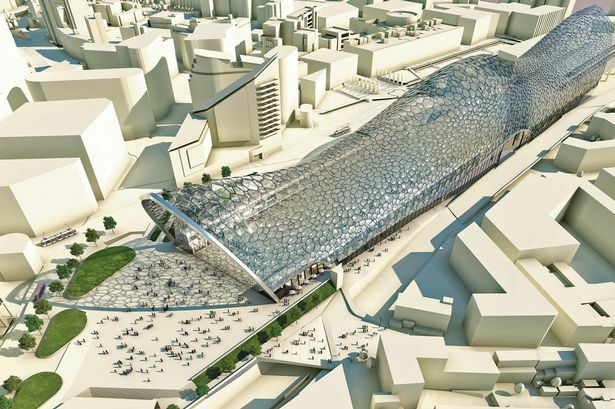 The developments will be focused around the new city centre station – Birmingham Curzon – but Sir Albert told the Post he wants to see major progress well in advance of the station being completed in 2026. He said: “We are not hanging around for the station to start operating in 2026, we are looking to activate the economic growth which HS2 can give rise to. While HS2 will fund the station, the city council, along with Greater Birmingham and Solihull Local Enterprise Partnership (LEP), is aiming to push through greater benefits and connectivity. The proposals form part of a Strategic Economic Plan bid, being driven by the LEP, to bring in public funding. Talks are also taking place to expand the city centre enterprise zone, taking in areas identified around the station as prime locations for growth. However, the proposals are principally aimed at encouraging private investment in the retail and leisure sector, as well as creative industries in Digbeth. The vision spells out sweeping changes to the transport network, including walkways linking across the city. The station would be served by Metro trams on a new route branching off the extension, currently being built through the city centre. There are also major retail moves suggested, with the station opening out to an area to be known as Station Square, expected to be a major transition route for pedestrians heading west to New Street. The proposals were drawn up in-house by the city council – and were turned around quickly to meet funding deadlines and be ready to present at the MIPIM property conference in Cannes next week. Waheed Nazir, director for planning and regeneration at Birmingham City Council, said: “The masterplan sets out the city council’s aspirations for the new HS2 terminus station and the huge regeneration potential that surrounds it. The potential of HS2 can only be realised if we build a world class station that seamlessly connects people to the rest of the city centre. Mr Nazir said the station will place the city at the heart of the new national high speed network, with a 49-minute journey from London. It is forecast that there will be 1,760 passengers boarding, alighting and changing at Curzon Street station in the morning peak hour and approximately 1,870 in the evening peak hour when it is built in 2026. For 2041, with the full phase two operation, it is forecast that these numbers increase to 4,670 in the morning and 4,970 passengers in the evening peaks through increased train frequency and additional national rail destinations. The plans are at the centre of the city’s efforts to support its burgeoning creative, learning and research sectors and the booming professional and financial services industry. The masterplan aims to build on the £600 million transformation of New Street Station, which will be completed next year along with a £128 million Midland Metro extension linking the station with the existing tram line at Snow Hill. Lord Deighton, commercial secretary to the treasury and chair of the HS2 Growth Taskforce said: “Birmingham is going the right way about realising the benefits of HS2 by developing ambitious plans to kick-start development. “Their vision for the Curzon HS2 Masterplan demonstrates the transformational value of HS2, not just for rail passengers but for the communities that the railway will serve. According to the firm creating the high speed rail link, HS2 Ltd, high-speed rail will boost the West Midlands economy by £4.1 billion each year and create more than 51,000 new jobs by providing extra capacity and better connections to London and the north. The new Birmingham Curzon station will be the first new station to be built in the city for over 100 years and will be the biggest building in the city. An eight-week consultation on the Curzon HS2 Masterplan has now begun, with construction set to start on the HS2 line and stations in 2017. Andy Street, chair of the LEP, said: the proposed station represented a “once in a lifetime opportunity” to redevelop a significant part of the city centre. “The scale of this opportunity and the size of the prize means that partners have been looking very carefully at how we fund and maximise the potential,” he added. “We are now in advanced stages of developing the GBSLEP Strategic Economic Plan which identifies Curzon Street as one of the economic game changers. “A number of innovative and ambitious proposals will be included in order to enable us to unlock the development, deliver a world-class station for Birmingham and breathe new life into that part of the city in addition to a wider package of connectivity interventions. Our universities are in rude health. While other industries continue to suffer, our lecture halls are crammed with eager beavers from around the world. And where intelligent young things flock, house prices surely follow. Although numbers applying for university fell last year, mostly caused by the hike in tuition fees, now students are back and raring to go. There has been a 2.7 per cent increase in applications for this academic year. More overseas students than ever are pursuing their studies in Britain. Their parents, often wealthy, are following their offspring with hefty wallets. So what’s good for British universities is good news for those who own properties in the popular areas. Higher education is becoming a marketplace, with universities competing for applicants. Successful student towns are becoming hubs, where soaring demand for housing means high rental yields as well as capital appreciation. Around 550,000 students will be packing their bags for university this autumn. Although the universities can just about accommodate all first-year students in halls of residence, the majority of students, more than 70 per cent in most university towns, will be looking for accommodation in the private sector. It’s a market that can be pretty intimidating for those just out of school with limited experience of the big, bad property world. Private landlords are not philanthropists, after all. “In some of the newest private halls in London, it is not uncommon to see weekly rents of £300 for a room,” says Mark Hutchinson, director of the flat and house share site spareroom.co.uk. “Luxury high-end accommodation aimed at overseas students with money to spend is a very popular market at the moment.” That £300 figure may scare students, but it will whet the appetite of would-be landlords. Given this cost, many parents with a bit of spare capital toy with the idea of buying their children a property to live in while at university. Then after graduation, the home stays as a buy-to-let investment. It can be a shrewd strategy, financially, and looking like a shrewder one in 2013 than it has in the past. But as with all investments, one needs to look at the area carefully before taking the plunge. There is no point buying a flat for your children if the market where they are studying is depressed. You will have little chance of making a long-term profit, or generating decent rental income. 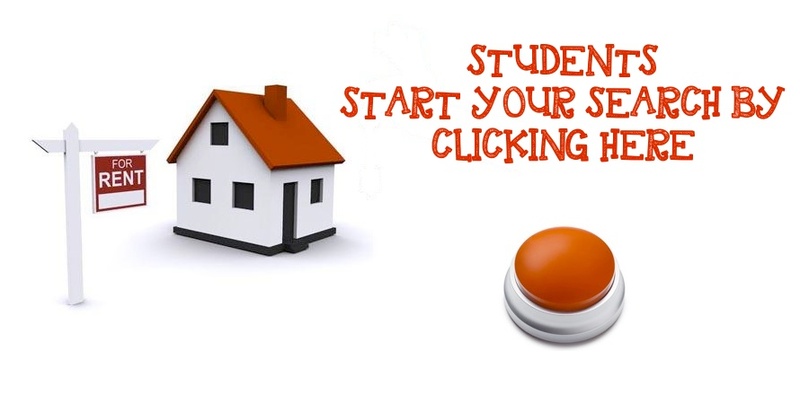 You need to look at the local student buy-to-let market in its totality. The more renowned the university, as a rule, the stronger the buy-to-let market. Cambridge students, for example, are not just brainy, but make formidable cash cows. The university is continually expanding, and the population of the city is expected to increase by more than 20 per cent in the next 10 years. As a consequence, the student rental sector is booming. Nor is Cambridge an isolated case. Oxford also remains another blue-chip destination for the buy-to-let investor, with a steadily expanding student population and easy access to London. According to figures compiled by spareroom.co.uk, the average cost of student flats and house shares in Brighton has increased by 21.7 per cent in the past two years. In Bath it has risen by 12.7 per cent, and in Bristol by 7.7 per cent. Just find a university beginning with B, it would seem, and you are in luck. It is not quite that simple, however. In Savills’s latest “Spotlight on UK Student Housing”, Brighton, Bath and Bristol are awarded first-class degrees in a notional buy-to-let honours table. Birmingham and Bournemouth only merit upper seconds. Bangor and Belfast are awarded lower seconds and Bradford a humiliating third. Poor Bolton, barely scrapes a pass. Overall, however, the student buy-to-let market is buoyant. If you bet in the right place, there are returns to be had. “Following weaker rents during the 2012-13 academic year, we are forecasting total returns of 9.3 per cent during the 2013-14 year,” says Neal Hudson of Savills. That is made up of a 6.3 per cent increase in static net initial yield, i.e. capital appreciation, and a 3 per cent increase in rental income due to increased demand. But what type of property should you buy? Somewhere classy in a good location that will make your children the envy of their friends? Wrong! The house will become Party Central and be trashed before you can say “short-term lease”. A functional new-build might be a better option. A no-frills property where herds of students can come and go and their traces can be erased with a lick of paint and some air-freshener. More than one bathroom? When I was paying £5 a week rent as an Oxford student in the Seventies, the idea of multi-bathroom digs would have been almost unimaginable luxury. But then, other things being equal, students who wash are more likely to keep a house clean, so a second bathroom may make sense. Britain’s universities are one of our main industries, attracting students and investment from all over the world. Tuition fees have made the market all the more competitive. Property in the best universities will become more and more sought-after. Strike now, and you could end up with an asset that increases in value while it earns excellent rental yields. Even if your little darling spends more time in the union bar than the library, their time at university won’t have been wasted. Or at least not for you: the caring parent who may also double as a canny landlord. Choose towns where an increase in the student population is expected. It will push up yields. Good options include Norwich, Plymouth and Bournemouth, where new universities have recently been created. Don’t overlook overseas students coming to the UK. Many are from wealthy families and will pay top dollar for superior accommodation. Students love to cycle, but also frequently have their bicycles stolen. Bike racks will be high on a list of must-haves for many students. Don’t try and cram too many students into one property – it is likely to prove a false economy. Consider letting to postgraduates. They are more mature and generally make better tenants. Don’t just hope they will look after your property. Pay them occasional visits to help keep them onside. All students have accidents or slightly wild parties. Full insurance (telegraph.co.uk/directline) will give you peace of mind. Samantha Whisker, 19, is about to start her second year at Canterbury Christ Church University. Last year, her parents bought her a two-bedroom furnished flat for £215,000 at the Berkeley Homes Kingsbrook Park development. “When I wasn’t offered any accommodation with my university place, my parents investigated alternatives. They were staggered by the private rental costs, which averaged at more than £500 a month. They recognised the potential to make a lucrative investment as well as relieve me from debt,” says Samantha. London estate agents Fraser & Co recently sold 26 units at Cleveland Residences, a 19th-century mansion block in Fitzrovia, within three weeks of putting them on the market. The units were priced at between £535,000 and £680,000.